Since regaining the majority in the House in 2010, the Republicans have resembled less an organized, cohesive team of lawmakers, than the Biblical Hebrews wandering in the Wilderness. Speaker Boehner’s sudden announced resignation demonstrated an unprecedented lack of vision, agenda, and leadership; undertaken without any apparent forethought or responsibility for the future of the Party or the country. The move could hardly have come at a worse time; just as a lame duck president, desperate to cement his “legacy” at any cost, is dragging America into a Black Hole of international recklessness. While President Obama sits back and plots his next moves -- be they unilateral action on gun control, flooding our communities with more refugees, or implementing additional disastrous environmental regulations -- Boehner suddenly announces his resignation, with nothing in place for the Party’s “next step.” Then, Rep. Kevin McCarthy leaps forward, apparently also with no plan, only to quickly step aside when he realizes the personal cost to assuming the position. Now, still in the first inning of this comedy of errors, Rep. Paul Ryan coyly dips his toes in the water. In short, there is no clear, or even close, consensus candidate to emerge from the rumpus. More than just the irresponsibility shown by the so-called House “leadership,” the mess reflects how little the Republican Party appreciates the significations of the post of speaker (not that the Democrats would do any better). The position is not a stepladder to hoist any one individual into the limelight. Rather, it is a solemn, constitutionally-based position of significant national importance – embodying a responsibility that transcends party or personality. If GOP elders -- who are supposed to be mentors to junior congressmen who may not yet understand the importance of a long-term strategy for legislative success -- truly understood their position and responsibility, there would have been far more consideration and care devoted to grooming potential leaders. That there was not even a semblance of a succession plan in place, is the height of irresponsibility. In the world outside the political arena, corporations and charitable organizations, as a matter of standard operating policy, maintain leadership succession plans. They also routinely devote resources to identifying and developing future leaders for their enterprises; much like a baseball’s “farm team.” But in the United States House of Representatives, the GOP will have none of such nonsense as a succession plan, or unselfish development of future leaders. However, it has not always been this way. Sadly, in the one generation since the GOP captured the majority in the House for the first time in forty years, and within three short years brought us major legislative victories, the Republican Party in the House has devolved into a political assemblage that enjoys majority status, but does not truly deserve it. Rather than continuing to look within its ranks for a leader who does not appear to yet exist, the GOP should take a historic, but constitutionally permissible step, and consider a proven leader from the outside. As I wrote in September, Republicans not long ago claimed a Speaker who was able to actually accomplish notable goals as Speaker, and in a polarized environment not unlike today. That man was Newt Gingrich. As a direct result of Gingrich’s steadfast resolve to rise above the factional squabbling and forge a working majority, and then convince a Democratic President to work with him, Republicans were able to pass an astounding number of principled, conservative reforms. Later, with a Republican-controlled White House and Congress, the GOP was unable to accomplish what Newt was able to as speaker; which is why he makes the perfect candidate now, even if on an interim basis, to save the GOP from descending into all-out civil war. 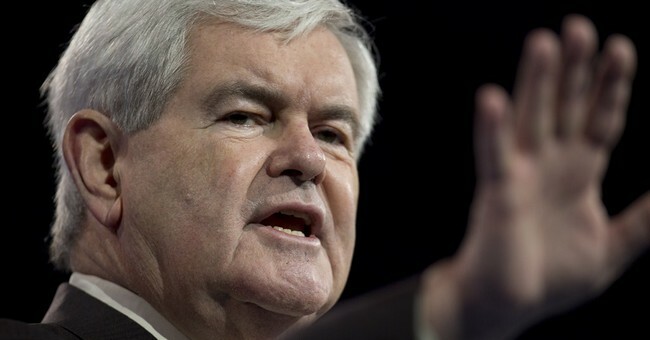 Speaker Gingrich alone could rise above the fray, and the picayune and personal motives that appear to be the fuel, which motivates the current crop of potential candidates. He could provide a degree of actual leadership and strength obviously lacking in the current House GOP. The man or woman who occupies this high post can do more to set the legislative and policy agenda for the country than any other elected official in the country – but only if they understand the power and responsibility of the office. The speaker – that is, a real speaker -- must be firmly rooted in a coherent governing philosophy, but at the same time be able and willing to exhibit true leadership to accomplish important legislative goals. If the one question foremost in the mind of a candidate for speaker is, “will this job help or hurt my political future,” that person already has disqualified himself. Tragically, the current crop of potential candidates within the House GOP caucus, all appear to fall into this category.